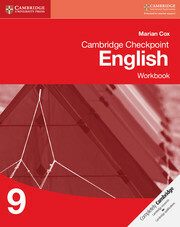 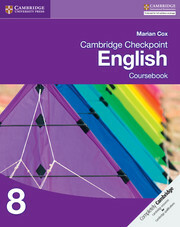 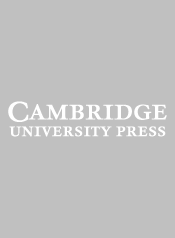 Cambridge Checkpoint English 9 matches the requirements of the Stage 9 revised Cambridge Secondary 1 curriculum framework. 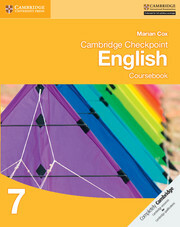 Endorsed by University of Cambridge International Examinations for use with their programme, it is written by the experienced author of the Cambridge IGCSE® First Language English suite, which this series provides a foundation for. 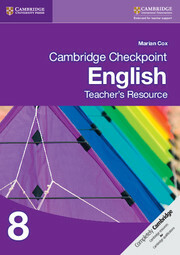 This Teacher’s Resource provides answers to Coursebook activities and Workbook exercises to assist in marking, and gives helpful planning support with model lesson plans and schemes of work. 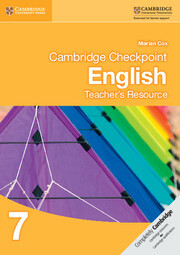 Practice progression tests help teachers prepare their students for examination and handouts and PowerPoint presentations can be used in the classroom. 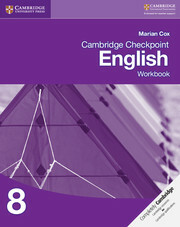 Practice progression test 3 mark scheme.